On Thursday, many will engage in a meeting or gathering for which you will have an invitation or arrangement in advance. This will be a good day for settling document cases. Watch carefully the news or suggestion you will receive from a person born under the sign of Cancer, Scorpio or Pisces. Thursday will be a good day for settling love misunderstandings and controversies. However, this day may involve an unpleasant conflict with a former spouse, with whom you have to deal concerning a property or financial problem. Today, you can begin new, interesting and useful acquaintances. If you were born under the sign of Aries, Sagittarius or Leo, it is a good day for you to engage in various financial affairs. Many will enjoy cash in the family budget or good news about the money you are going to receive in the future. Thursday will be a good day for financial dealings with people born under the sign of Gemini, Aquarius or Libra. If you were born under the sign of Taurus Virgo or Capricorn to fulfill some of your daily tasks, you will rely heavily today on the co-operation of a man. It is possible that he is born under the sign of Leo, Aries or Sagittarius, and he may disappoint you with his actions. The tension this day will be greater for men over 35 years of age from these three zodiac signs. If you were born under the sign of Gemini, Libra and Aquarius, today you will have different commitments related to a child or grandchild. Costs associated with them or settlement of some other financial relationship are possible. Thursday suggests small budget revenues for women at the age of 35. 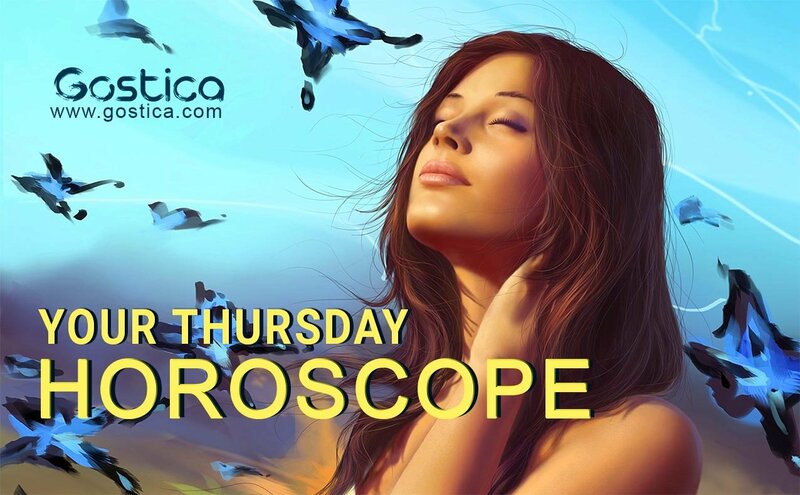 If you were born under the sign of Cancer, Scorpio or Pisces, Thursday will be a good day for money or financial documents. Use this day for similar visits in various state, bank, tax, or other institutions. One of the important events this day will be related to a person born under the sign of Capricorn, Taurus or Virgo, most likely from your circle of colleagues, clients, or executives. Try something new. You have several options, choose one that makes you feel fulfilled. When you are having fun, you must not feel guilty, but fully enjoy the opportunity that has been granted to you. You also deserve some moments of leisure. Doing your best to feel good is the first rule to make those around you feel good. Do not forget when the anguish of not doing enough has assailed you. You are always super active. You like it that way. Your activities fill you up the day and you feel you have done something useful for your family and society. In fact, you are precious resources for anyone who knows you. You always like to keep control of your surroundings, but this should not lead you to be obsessive. Wanting to command even those who are not organized like you is an attitude to be avoided today. Keep listening. Someone has things to say to you but may have difficulty opening up completely. Try to give them a hand putting them at ease, without talking inappropriately. You are very good at defusing, so try this way to create the right atmosphere. Some revelations could be important for you too and, personally, you could enrich yourself a lot with these little experiences. Work on yourself. You need to understand what direction to take at this time. A bit of confusion has sent you on a rampage in the past few days and you need clarity. Only within you can you find it. If you need to release tension, try sports, or with some pastime that will free your mind and increase your endorphins. Free yourself from negative thoughts. You have a good chance to start a new path, which will allow you to carry out activities that are more suited to your qualities. You do not have to think that you are not capable, on the contrary, it is exactly the opposite. All those around you know how much you are worth, you seem to be the only person who have not yet understood it. Anyone would feel electrified, but you are unexpectedly tense. Let yourself go and, once you take the road, you will no longer be of the same opinion.